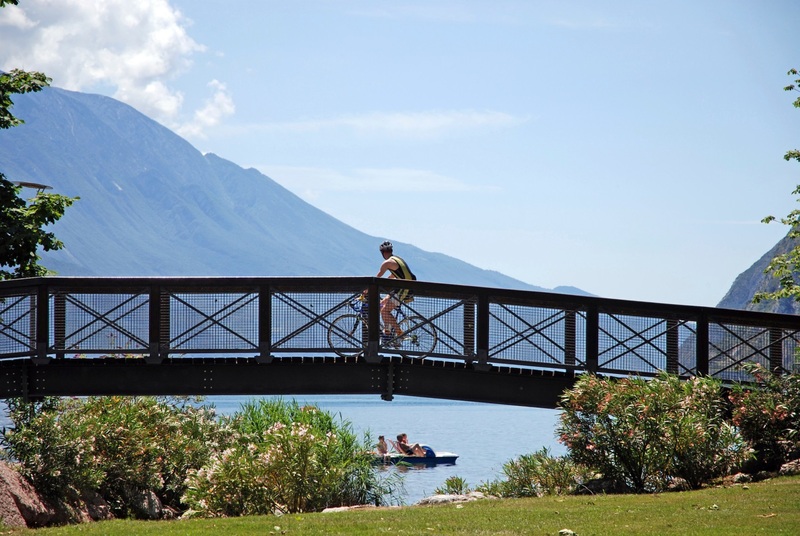 Bikeways, cycle lanes or simple itineraries suggested by your own emotions: in Garda Trentino the bikeways are for everyone! A ride by bike on Lake Garda Trentino is an experience you should live at least once in a lifetime! On your own or together with friends, the backdrop in front of your eyes will pay back the “effort” of your ride! A huge body of light-blue fresh water which is slightly ruffled by the Ora wind, high and lush green mountains and postcard-like villages. 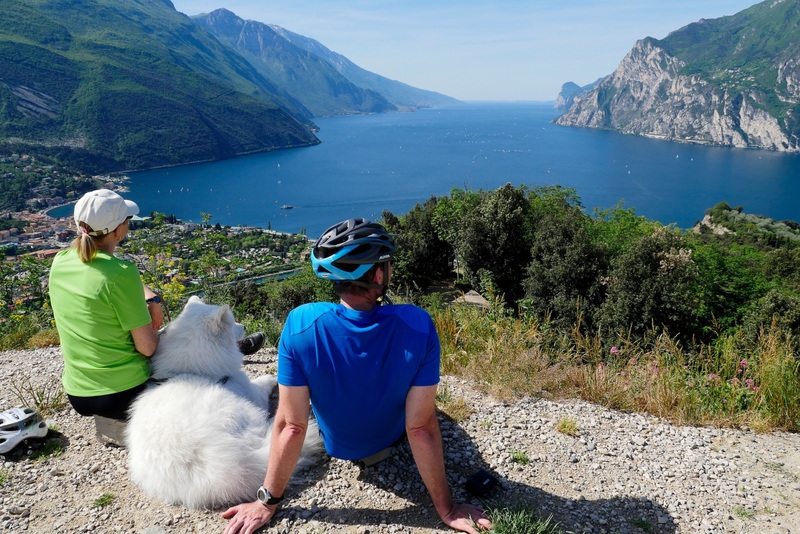 Garda Trentino gives out different kinds of routes, suitable for everybody: from the super duper experts permanently in the saddle of their bike to the little ones, brand new bikers, and new technology lovers (we are talking about e-bikes). Impossible to cite them all, but we’ll try to suggest you three out of many on different levels…and after an all-day long ride by bike, nothing is better than chill out and relax in one of the campings that you can find in this area. ARCHAEOLOGY LOVERS, HERE YOU ARE! What about combining two different passions like bike and history with an average itinerary, short and exciting among pinewoods and chestnut groves? We are talking about the bikeway from Lake Tenno to the San Martino archaeological sites (Campi). The itinerary ascends towards Campi, a graceful community of Riva del Garda, and the arrival point is the archaeological site of San Martino, one of the most important in the area. It’s impossible not to take a camera with you: from here, a wonderful glimpse on Tenno and its emerald lake open up! And here you have an easy 19.8-kilometer course instead, suitable for everybody! A gentle ride among olive trees and vineyards, among Riva del Garda, Arco and Torbole, that is the “Busa” (hole in the local dialect). A ride for all the bike enthusiasts with a little drop, to discover the iconic towns of Garda Trentino. Along the way you’ll meet monuments, restaurants for tasty breaks, and shops to go on a shopping spree! Here you have a difficult bikeway, 64.7 kilometers long, between two lakes: Lake Garda and Lake Cavedine, on a cycle lane and some byways. It will make you live all the extraordinary variety of landscapes of this area! Here, you’ll pass through the several olive groves of the Arco area with its River Sarca, through many groves and even a “moon” landscape as the one of the Marocche area, also called the “valli della Luna” (moon valleys). It’s a protected area for its unique features: we are in fact in the middle of the biggest post-glacial landslide of the alpine area, characterised by a dry climate, which is very different from the Mediterranean scrub you have left behind your shoulders, but that is dazzling anyway! These are just three sample itineraries with three different levels we’d like to suggest you, but many more are awaiting (have a look at this link). These bikeways are proper itineraries on the look out for this territory, with lots of cultural spots (castles, waterfalls, medieval hamlets, archaeological sites and much more…) and tasty break points, for those of you who’d like to live a real Vacanza con Gusto. The campsites of Lake Garda are an ideal option for everybody Camping offers you the possibility of spending a holiday on Lake Garda at a special price and throughout all the season. The campsites are situated in the vicinity of Lake Garda and are surrounded by lush vegetation in a fascinating natural environment. The campsites offer many services including bicycle rental, windsurfing equipment, canoes and pedalos. They will satisfy all your requirements, whether you opt for a tent, camper van or caravan. Many of the campsites on Lake Garda offer entertainment services, bars and restaurants: click here to find out more.